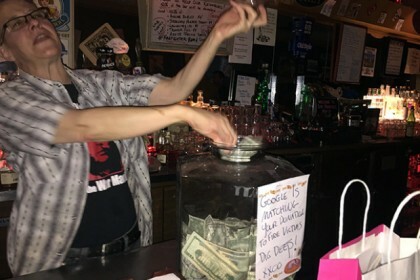 It’s with much sadness that we at Doc’s Clock, are doing another benefit for more victims of another neighborhood fire. On This Friday, 6/24, 1/2 of everything you drink, and 100% of certain special drinks, will go to MEDA. The Mission Economic Development Agency (MEDA) has graciously agreed to receive and distribute funds for the tenants displaced by Saturday’s fire on Mission Street. 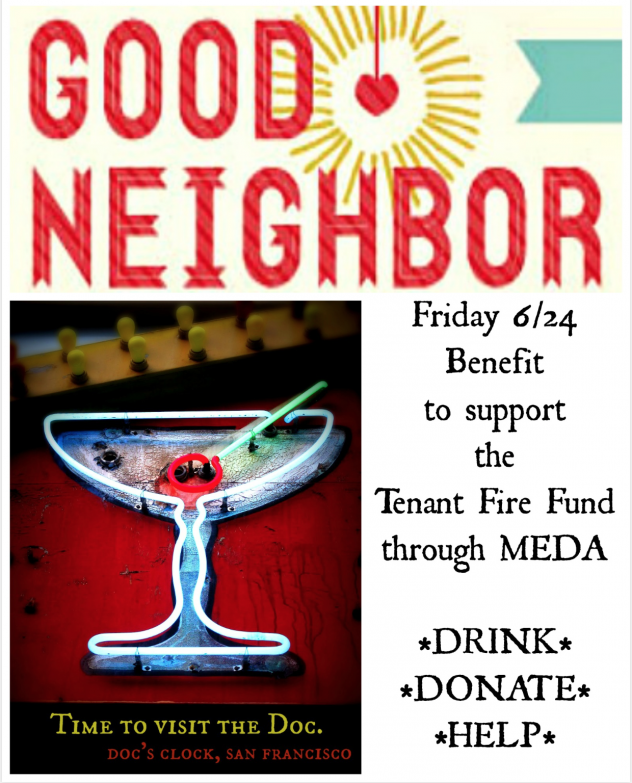 Any donations to this fund are tax- deductible and will go directly to the tenants. Dolores Street Community Services and its SRO Collaborative program, who are working directly with the tenants, will work with MEDA to equitably distribute the funds. It’s important to specify at the bottom of the page that these funds are for the “Tenant Fire Fund” (right above the “Submit Donation” button). During the last benefit, Google matched everything we made. If any of you work for a generous company, with deep pockets, that might offer matching funds, please let us know.